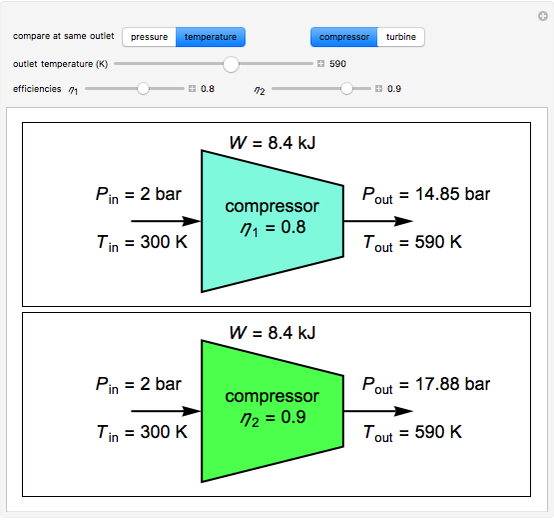 This Demonstration compares two adiabatic compressors or turbines with different efficiencies. Air, which is assumed to be an ideal gas, is either compressed or expanded. 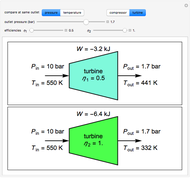 Select "compressor" or "turbine" and whether to compare at the same outlet pressure or temperature, using buttons. Select the outlet pressure or temperature and efficiency of each turbine or compressor with sliders. 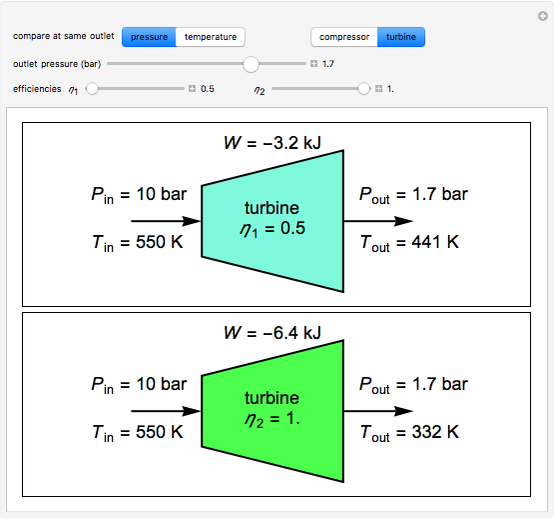 The efficiency is relative to a reversible turbine or compressor. 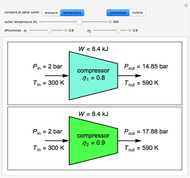 An ideal gas, air, enters a compressor at and or enters a turbine at and . where is the heat capacity for a diatomic ideal gas, is the ideal gas constant, is shaft work and is the enthalpy change. where reversible work and irreversible work . This equation and the efficiency are used to solve for the outlet temperature or pressure . 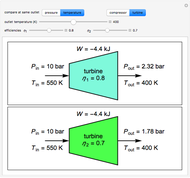 Compare Compressors or Turbines with Different Efficiencies [Video]. 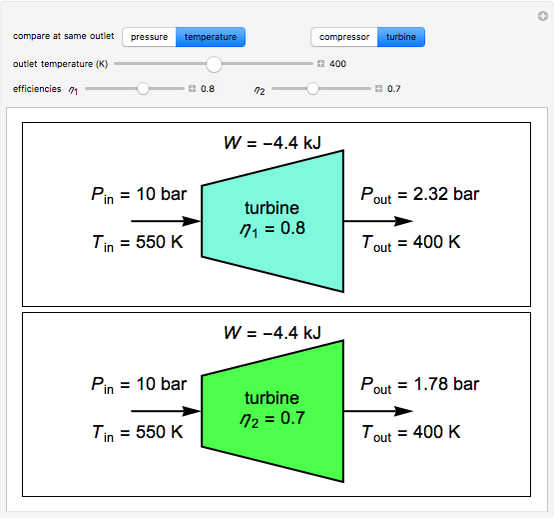 (Sep 1, 2016) www.colorado.edu/learncheme/thermodynamics/CompareCompressorsOrTurbinesWithDifferentEfficiencies.html. Rachael L. Baumann "Compare Compressors or Turbines with Different Efficiencies"